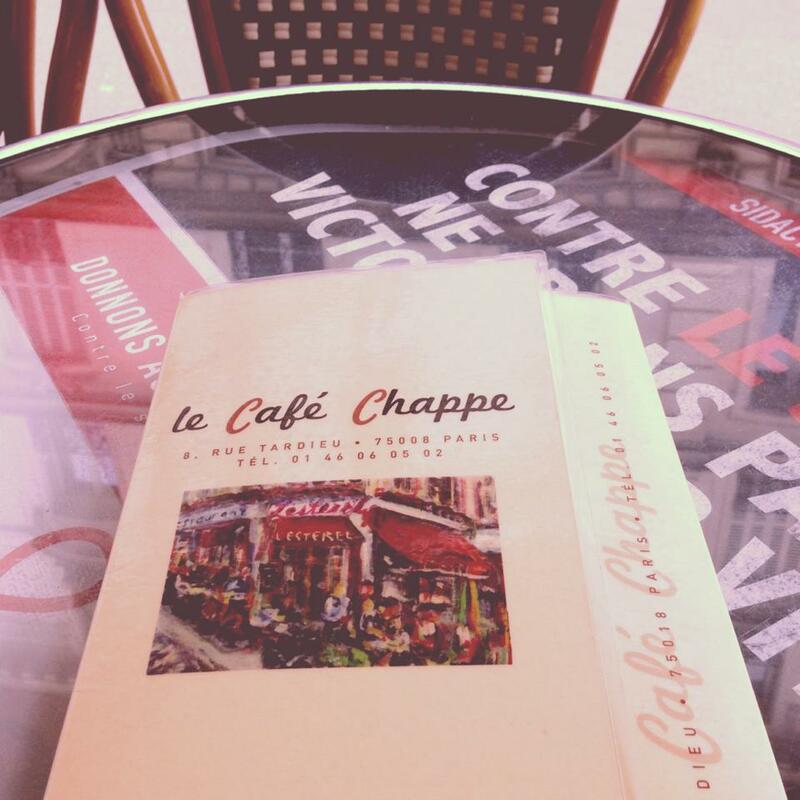 After spending half a day walking around Montmartre, I came across Le Cafe Chappe and decided to eat my brunch there. The free wifi was the main reason of this decision by the way. Haha! The restaurant was not very busy yet when I got there which was around 11 in the morning. Too early for lunch and too late for breakfast I guess. I went inside the restaurant and greeted the waitress, Au Revoir! to which she and the guy behind the bar responded with a laugh. I realized then that I said “goodbye” in French instead of good morning which was what I meant. :p Well that was a good icebreaker and I think I have clearly established myself as a tourist so there was no need anymore for me to try hard to communicate to them in French. I asked for a table for 1 outside, it was cold but I still prefer to sit outside. 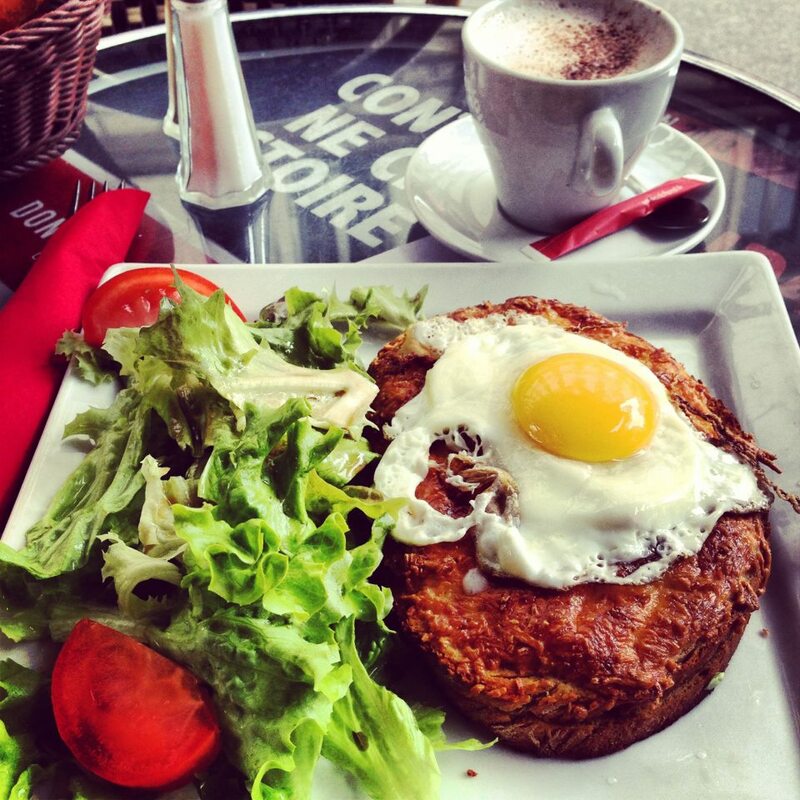 I ordered croque-madamme which is actually a croque-monsieur but with a sunny-side up egg on top of it. It was aMMMMMazing! I’m not really sure if it was THAT amazing or I was just famished at the time. I took my sweet time to finish my brunch and ordered an extra hot chocolate to warm me up. The restaurant’s location is perfect for people-watching, there were lots of cafe and other restaurants around it and I just stayed there for quite sometime watching everything that was going on around me. I saw lots of ladies carrying baguettes and it fascinated me for some unknown reasons. Tourists trying to read a map who probably haven’t realized it yet that the Sacre Coeur is just a few steps away from where they were. A French couple sat beside me and they immediately ordered a wine (for the girl) and beer (for the guy). I think I must start drinking wine from now on before having my meal if I want to be as thin as her. Things To Do in Paris: Explore the area of Pigalle.